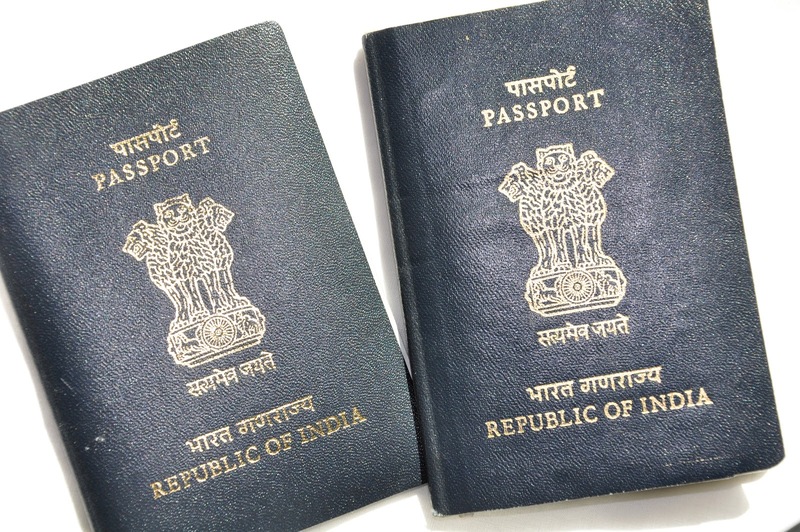 Do you know how difficult it is to apply and receive an Indian passport? 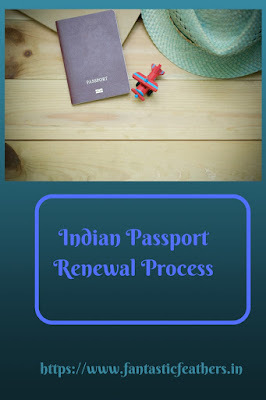 Re-issue/ Renewal of passport is also the same process as applying for a fresh passport and here is my looong story..
First of all, I didn't know until last year that an Indian passport validity is 10 years. So, after I found that mine is due to expire in March 2012, started reading the process of applying it online. I have started with creating an online user account on passport website. Online account creation and submission are cool. The website is also working fine most of the times, but some days site doesn't open at all. If you are applying from a specific city, you need to go to the regional passport site. For ex: Hyderabad has a separate passport regional site. After logging in, we can check for the documents required to apply for the passport by a link on the left side. This is a very useful feature. We can also check fees to be paid. I have verified both documents required and fees to be paid for the renewal of my passport. I was thinking whether I should opt for the tatkal or normal option. As per site, the tatkal passport will be delivered in 15 days, whereas normal passport will be delivered in 45 days. There is one extra document required by us to apply for tatkal. We need to submit a verification letter attested by someone who is a manager or above level in any public sector undertaking company like BSNL, BHEL etc., It was difficult to get that, so I opted for a normal scheme. I have to make a change in my last name after marriage and want to include my spouse name as well in my new passport. There is an address change too to be considered. So, after arranging all the above, i logged into my account in passport site and filled the application online with all details. Now, comes interesting and difficult part of creating an appointment in any PSK (passport seva kendra). At that time, the site used to allow to book appointments only 2 days in advance and that too appointments get filled in 5 to 10 mins after 7 PM. So, it was really difficult to get an appointment. Daily I used to try at 7 PM and at last could succeed after 2 days. I went to passport seva kendra (Begumpet) on time with my original documents for verification. Usually i keep one pen drive always in my hand bag so that it will be useful to trasport data in emergency. Security personnel in the building didn't allow me to take pendrive inside and worst part is they dont have any clock room to place it. I said in frustration to throw it in dust bin as i cannot go back home and keep it there and return. Security lady told she will keep it and i can take it while leaving. She was straight away demanding money for keeping it while I was taking it back. I don't have any other option than to give some money. After entering inside passport seva kendra, there are counters to verify the original documents and copies required. After passing through first verification, in second counter also they verified all these again, verified our personal details and address to ensure that passport reaches to correct address when dispatched. They also took a photograph, gave one token and told to wait in the next counter until our number is called. The first 2 counters are run by TCS employees and the third counter is actual verification by passport employees. After it is done, we need to wait for 4th counter call, where they will stamp on old passport that it is extended and confirm that new passport will be dispatched after police verification. Not to forget, there is one last counter where we need to collect receipt which is very important. This receipt has a file reference number which is useful to track passport status. I completed all these formalities on Feb 02nd and waited for almost one month for police verification to start. But there is no update on it. So, we sent someone to go to passport office and track the status. They told it will go to respective police station in 2 days and we need to contact them. Atlast, police officer has come and completed verification by checking all documents again that i submitted for passport application. He took signatures from our neighbours and then left by taking some bribe. After this, it took around 15 days for my passport to be dispatched. It came by speed post and an sms and email sent to me informing that it is dispatched by speed post with tracking number. Even post man expected some bribe which is common and I received my passport on May 8th 2012. Can you believe? It took 3 months to receive my passport from the day I appeared in Passport Seva Kendra excluding the days when I filled the application and submitted it online. If I consider the whole process from the day of creating an account in passport site which is on Jan 4th, it took 4 months. I did all these without the help of any agent. I am not sure how fast it can be with the help of an agent. Don't lose hopes, if you are going to apply now. Because there are many changes in the site. One major change is the ability to book an appointment for 7 days in advance and also check this link to know how they are improving the process to dispatch a normal passport in 3 days!!! How about you? did you ever have such a bad experience while applying for the passport? Please do share in comments. Hmm... When I was reading ur story, nowhere i dint get any feel tht all this is the process for passport renewal. Its more than taking a new one. And coming to mine, I took passport in Tatkal scheme in Delhi. It came in jus 1week after submitting the necessary documents at the counter. But the same bribing story repeated here also. You are lucky to get your passport in 3 months Ramya. They misplaced the photocopies of old passport and that info is not reflected when I searched the status online. I went twice to passport office (stayed from 6 AM to 3 PM) and finally, we saw Assistant Passport Officer and we got the passport. My passport renewal experience in Chennai (while we are at Aspire Systems) is excellent. I got my passport in 5 days and my daughter's new passport in 4 days (both in Tatkal). You are lucky to get your passport.. I applied for renewal in May 2012 (just b4 the new system started). for no reason my application was closed and I was asked to reapply in a PSK which I did on 5 Dec 2012. It is close to 3 months since I applied and still I am nowhere close to getting it - still it is under some review at police commissioner's office. oh it's bad luck Saurabh in your case as you applied just before starting new system..Police enquiry will always take time, it's better to go and contact respective police station to make process faster.